Lionel Messi put on another dazzling display when his Barcelona side needed him to on Wednesday night, sending Chelsea crashing out of the Champions League. 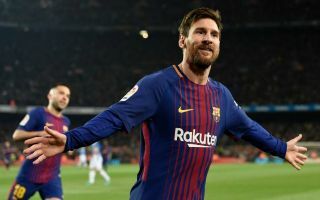 The Catalan giants held the advantage in the second leg of the last-16 tie at the Nou Camp, with that man Messi scoring the all-important away goal in a 1-1 draw in the first meeting in London. However, Chelsea will have left Spain on Wednesday night very disappointed, as they certainly had their moments in the game to produce a shock. The visitors twice hit the woodwork and got into some really dangerous positions in the final third, but they were unable to take their chances and made costly mistakes at the back. 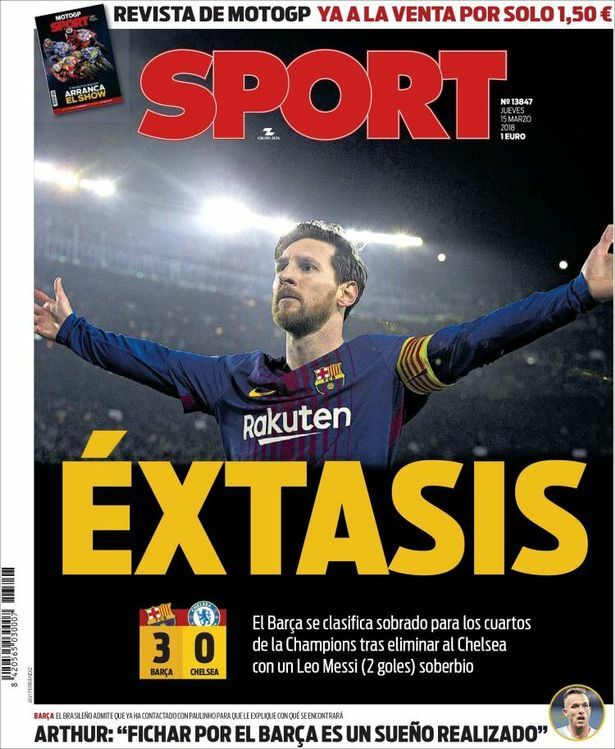 Nevertheless, Messi scored two great goals, particularly the second as he waltzed past the Chelsea defence before finding the back of the net with a clinical finish, and so it comes as no surprise to see the Argentine wizard dominate the headlines and front-pages on Thursday, as seen below. From headlines of ‘Our Father’ to ‘Ecstatic’, the Spanish media also celebrate the progression of the La Liga sides, with Real Madrid and Sevilla also making the last eight, as per AS. 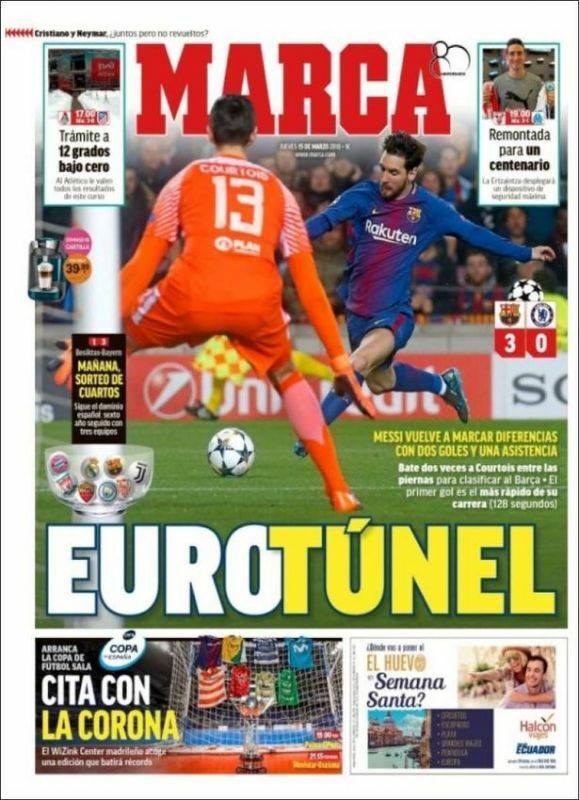 However, there is also a cheeky swipe at Chelsea goalkeeper Thibaut Courtois from Marca, who run with the headline of ‘Euro Tunnel’, referring to how Messi twice nutmegged the Belgian international with his two goals. The shot-stopper will be desperately disappointed he didn’t do better, but while he should have certainly done so with the early first goal, there’s no denying that the drilled finishes from Messi made life difficult.